The company says it’s going to build the world’s largest MMA training facility in the eastern Chinese megacity. SHANGHAI — It’s been a big month for mixed martial arts in China. On Nov. 20, the sport’s largest promotion company, Ultimate Fighting Championship, or UFC, announced plans for a $13 million training center in China. The 93,000-square-foot UFC Performance Institute Shanghai will be the largest MMA training facility in the world and will feature a gym, sparring areas, recovery pools, and the sport’s iconic octagonal rings — one complete with stadium-style lighting and spectator seating. UFC said at a press conference in Shanghai last week that the center will help train China’s next generation of MMA fighters and spread the sport throughout the country. There are currently 11 Chinese fighters — eight men and three women — on UFC’s roster of 461 athletes from around the world, and the company hopes to triple this figure in 2019. In just the past year, the number of users who follow UFC’s official account on microblogging platform Weibo has increased by 60 percent. On Saturday, UFC held its 141st Fight Night event at Beijing’s Cadillac Arena to a crowd of over 10,000 — the second time an installment in the series had ever been staged in China. Although a faceoff between elite heavyweights Curtis Blaydes and Francis Ngannou was nominally the night’s main draw, two local fighters attracted the most attention from domestic media present at the event — and they did not disappoint their home crowd. 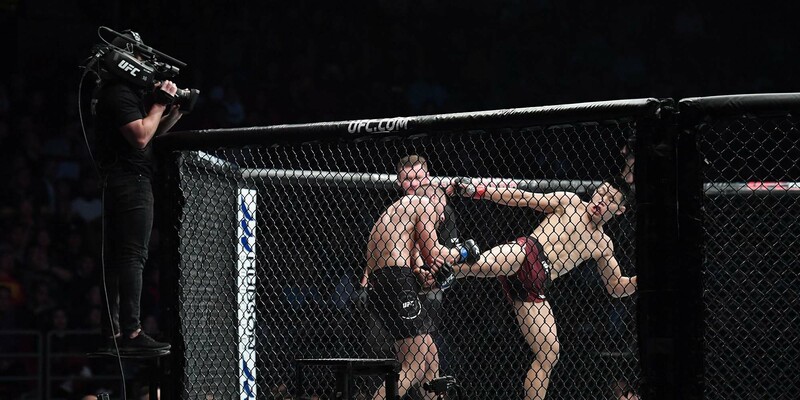 UFC’s most experienced Chinese fighter, Li Jingliang — known as The Leech for his mastery of headlock submission holds — defeated his German opponent, David Zawada, by delivering a deft kick to the midsection. Meanwhile, 20-year-old rising star Song Yadong — dubbed The Kung Fu Monkey after the simian hero in the Chinese epic “Journey to the West” — won his fight against American Vince Morales in three rounds. 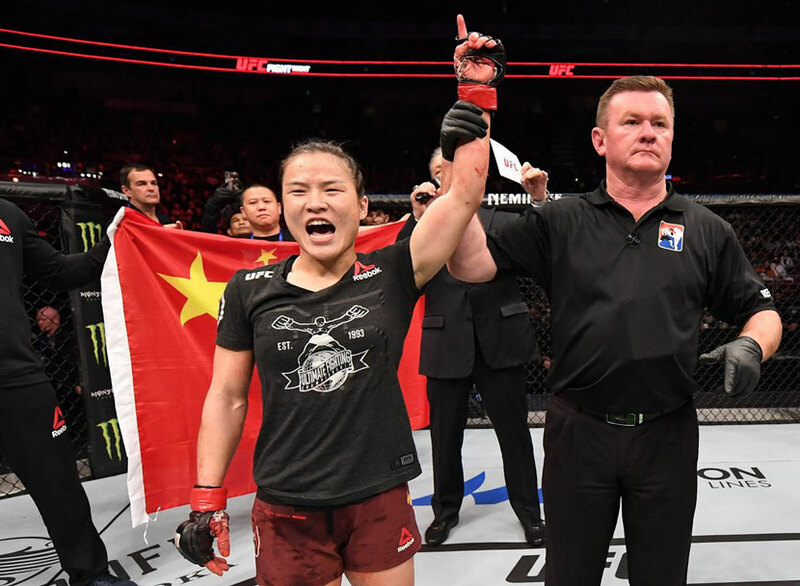 The three female Chinese participants — all of whom won their matches — also turned heads, especially Zhang Weili, who “mauled” veteran Jessica Aguilar of the U.S. to claim her 18th straight victory. The MMA training facility coming to Shanghai represents a major investment in developing the sport in China, where it was little-known just a decade ago, Kevin Chang, the Asia-Pacific vice president of UFC, told Sixth Tone during last week’s press conference. When the company entered the Chinese market in 2011, there were myriad misconceptions about MMA — like whether it was real fighting or merely a testosterone-fueled performance akin to a World Wrestling Entertainment event. Over the past few years, the sport has gradually found a foothold in China thanks to UFC, local promoters, and the Singapore-based ONE Championship, with specialized MMA gyms popping up across the country. 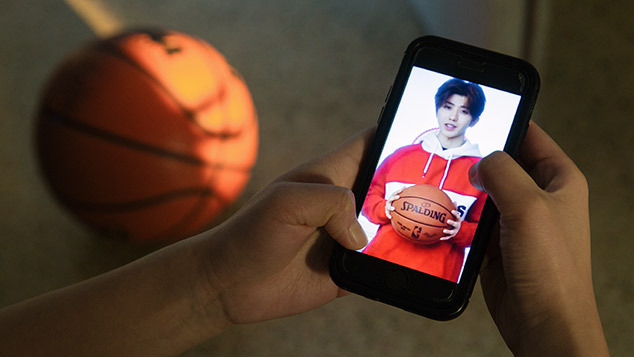 For its part, UFC has cultivated a Chinese fan base by inking broadcasting deals, expanding its social media presence, and grooming local stars like Li, who has over half a million followers on Weibo. But the sport has also courted its fair share of controversy. In April 2017, MMA fighter and promoter Xu Xiaodong attempted to demonstrate the superiority of his craft by pummelling an older, portlier tai chi master in a heavily criticized fight. More recently, a brawl that ensued on the sidelines of a high-profile Las Vegas showdown between MMA stars Conor McGregor and Khabib Nurmagomedov — known among Chinese fans by their respective nicknames, Mouth Cannon and Little Eagle — was widely reported and commented on in China. Reputation management remains an ongoing challenge for such an inherently violent pastime, said Chang. “We’re not a bloodless sport,” he said candidly, adding that lax standards at local, non-UFC events — many of which don’t have the resources to test athletes for doping — have led to incidents that tarnish the sport’s reputation. “When something quote-unquote ‘bad’ happens in MMA, it affects all of us, and it affects that perception which we’re trying so hard to correct,” Chang said, noting that conditions at domestically organized fights seem to be improving at least. American Ramsey Dewey, a former MMA fighter who now runs a gym in Shanghai, describes some of the hassles he experienced in the sport’s early days in China on his popular YouTube channel: a fighter covering himself in oil to slip out of holds, promoters vanishing without making payments, trainers supplying banned materials to bind fighters’ hands, and competitors kicking the heads of their fallen opponents. According to Dewey, his MMA career ended after a bout with a Chinese fighter who had wrapped his fingers with a dangerous kind of tape provided by event organizers. “One single punch shattered my skull,” Dewey says in one of his videos, explaining how certain wrapping materials can pack a harder punch. 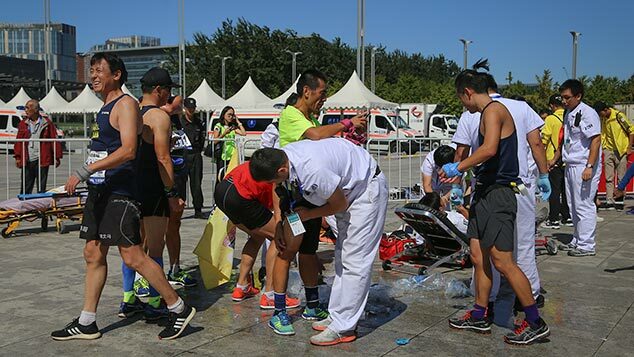 Although most injuries are superficial and not life-threatening, local authorities can be nervous about events taking place under their watch, UFC fighter Wang Guan told Sixth Tone at last week’s press conference. Wang — or The Dongbei Tiger, as he’s sometimes known — competed in China’s first Fight Night event a year ago. He’s also the man Dewey says forced him into early retirement, though Wang maintains that his hand bindings were legitimate. According to the Chinese fighter, officials are afraid of competitors suffering severe injuries and have been known to shut events down early. 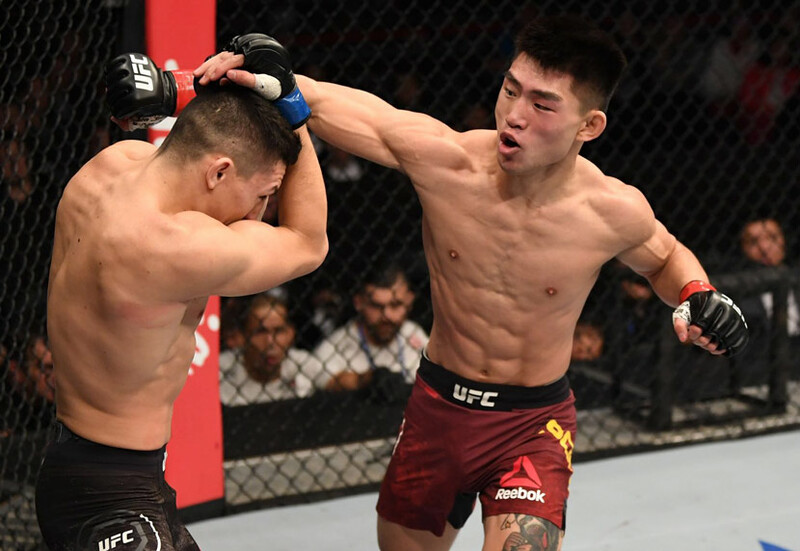 Nevertheless, Wang said MMA in China has come a long way in recent years — particularly with respect to the quality of referees, whose split-second decisions can prevent curtailed careers — and he’s bullish about its continued growth. “Judging by how things are developing in China, I think MMA will be the dominant fighting sport here in the future,” he said. 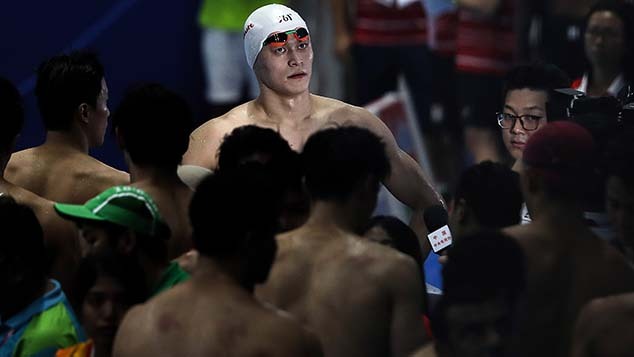 For now, though, Chinese fans are holding out for a champion and remain only slightly bitter that local fighters seem to have such a hard time getting matched up against the world’s leading competitors. Li, for example, has had 11 UFC fights, but none were against top-40 opponents. But according to Chang, UFC’s Asia-Pacific vice president, it’s only a matter of time before Chinese fighters will have the chance to prove themselves against elite competition. Correction: A previous version of this story said that UFC’s WeChat subscribers had increased by 60 percent in the past year. This figure pertains to its Weibo followers.